*Printing on the legs is lower down. *The shirt appears to be light tan rather than very slightly blue. *The plastic of the legs and hat are a slightly different colour. *The pattern of crumples on the shirt doesn't quite match. *The buckles on the belts are not shiny. *Body - 'LEGO' embossed at the top of the neck with the 'L' towards the front. The real one has the 'O' at the front. *Legs - '(c)LEGO' embossed at the top running front to back. The real one has 'LEGO' running right to left. The suspected fake also has '8B' and '2B' inside the legs whereas the real just has '1' in each leg. *Hat - '10-01' embossed on the rim. '7-01' is embossed on the real hat, although I have also seen other numbers on other hats. I've not seen fakes before that actually go to these lengths so is it a fake or defective or something else? Could the one on the right be from a magnet set? The colour of the legs looks a little softer to me which might suggest it is made of lower quality plastic, like most of the magnet minifigures. The magnet set I have just asked my son to peel from his bedroom radiator has the torso from the left but the legs from the right. Just checked a stack of my minifigs, from my '70's space men through to my CMF, Ultra Agents, Marvel & my sons' new City stuff. All the figures I have from the '70's to the '90's have LEGO printed across the waist from lug to lug, while my new stuff '10 til now, LEGO is printed from the front to the back, or from the back to the front, both with & without the ©. The neck lugs are a mix for both old & new, some with L at the front, others with O. Why would someone go through the trouble of making a fake fig worth $3?? I believe it is just a misprint. I have plenty of Lego minifigure misprints. Thanks for all the comments so it look most likely I have a magnet minifig with a misprint. The printing is out of scale look at the belt buckle. It's a completely different size and colour as well as the rest of the printing. Dose not look like a misprint a misprint would be to the same scale and colour. Looks like a fake to me. Sorry about your luck. It makes no sense whatsoever to counterfeit something so common and frankly, worthless. This fig appeared in nearly every IJ set, there are thousands for sale on Bricklink and Ebay, it's not like it's Cloud City Boba Fett or something. It would be like someone making counterfeit pennies. It's not even the cost that makes me think it's unlikely to be an intricate fake. If you're going to the detail they have wouldn't you just use the exact same numbers and printing as the real thing? Why put slightly different numbers in at all? The hat has 3-01 and the leg printing is also like that of the left. At a guess it's just different batches made at different times and possibly in different places. They'd be no real point in counterfeiting it as people have said, and thematically earlier than the stuff currently being faked. If it were a fake, it would have to be one of the highest quality fakes around, but I'd say it was probably made to be used in TLG's magnets product line, the LEGO markings match with several of my minifigures directly from sets purchased off [email protected] & in local retailers (I only grab 100% unmarred boxes). Correct me if I'm wrong on this but, if it is a magnet shouldn't the hands have a casting mark on them since the magnets are made in China? You would just have to pull the hands off to check. Might it have been from a promotional give away? Like when people see certain movies, sometimes a toy company connected to the film gives away cheap, happy meal type toys... Haven't heard of TLG doing this before, but who knows, they may have trialed it somewhere, at some point. 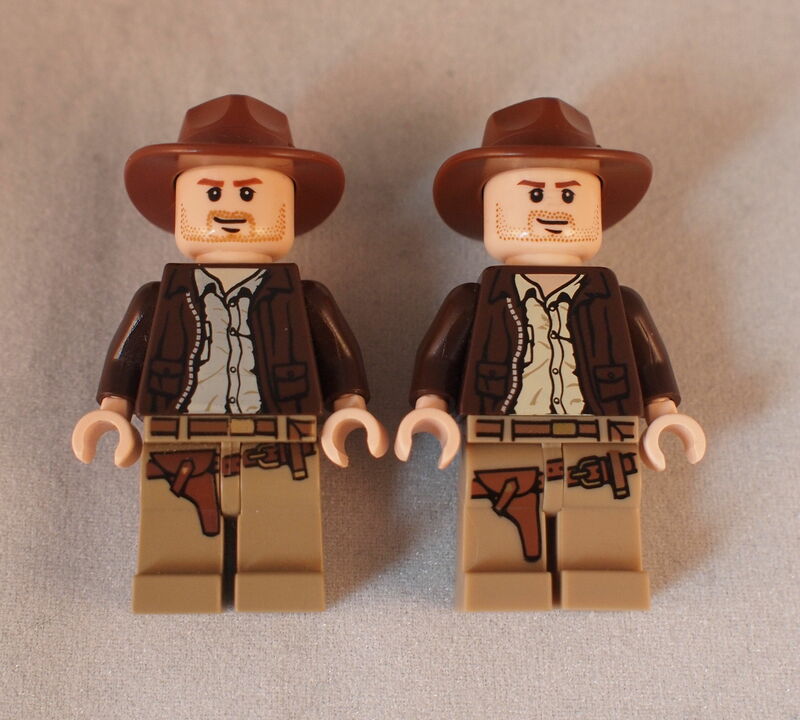 I remembered to do a little searching tonight because some people wondered why someone would make a counterfeit minifig that's worth so little. The best answer I can give is the same old one, for profit. Check this one out, they even advertise it's Lego. I don't think that's fake (I'm only aware of fake series 1 so far...) if I recall correctly the early Lego CMFs were packaged differently in Japan (?). Using those gumball type machines with a different selection of figures available in side A and side B of the machine. Yes, that's right. It's not a fake. Then why does it says produced by Takara Tomy? I am familiar with the Tomy name here in the states if that is the same company. 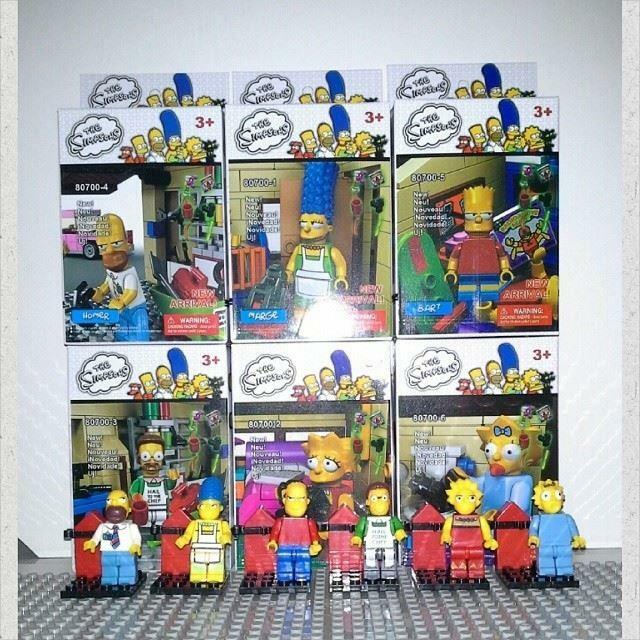 At any rate, with the production of the most recent Simpsons fakes I am very leary of buying anything out of the original Lego packaging. The moment I saw the name Takara Tomy, I thought it was familiar, we have the same vending machines selling Pokemon, toy Mario Karts, etc. I'm not surprised TLG did that, the Japanese market is a completely different animal to our markets. Not the first time I've seen a recognisable company's product co-branded with a Japanese corporation, teaming up like this & learning their strategies seem to be smartest route to tapping into the Japanese marketplace. 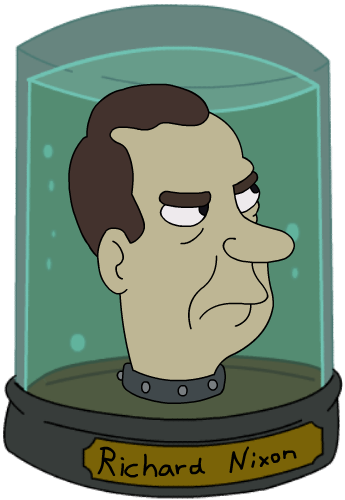 @CCC I will be laughing at the Simpsons Tower of Orthanc all day long. I hope the replaced the Eye of Sauron with this.